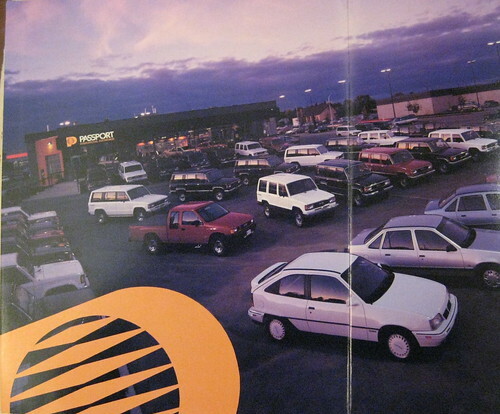 For a short period, General Motors sold some imported vehicles in Canada through the Passport showrooms. I have several brochures from 1989 and 1990. Another General Motors make that has disappeared. This one few will even remember. I need to scan this again, sorry about the lousy job.